Sony PAL, Manoranjan Music and Dillagi TV channel added on DD Freedish. Although “Dillagi TV “channel has not launched yet and showing color bars. 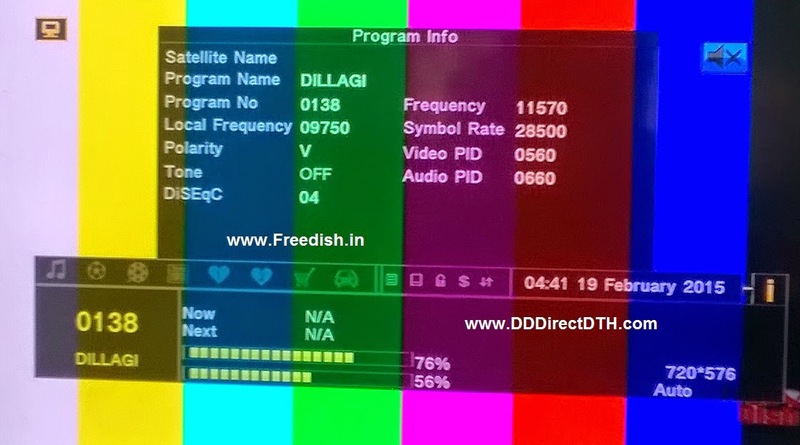 Only Test card added on DTH platform. Sony PAL is Premium Hindi general entertainment which is all hits shows of SONY TV and SAB TV. Although this is also brand new channel is pay channels but now it is decided to launch on DD Freedish with new look. Manoranjan music channel also won 20th Doordarshan e-auction and now it is available on DD Freedish platform. You can enjoy old Hindi song on this TV channel. 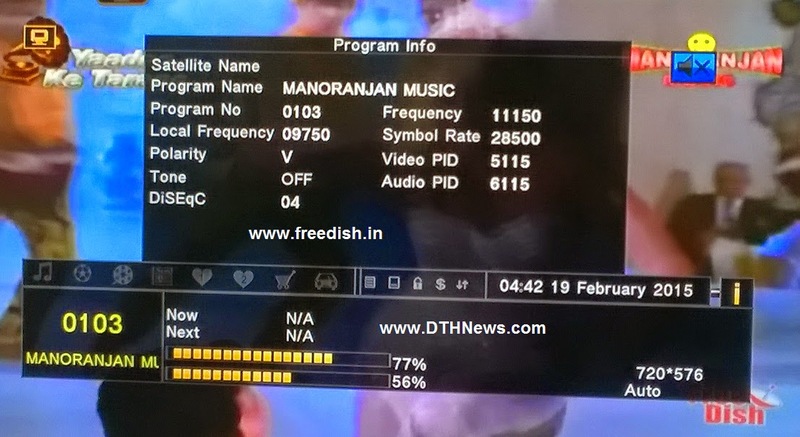 Although Manoranjan network launched all three channels on DD free dish which included Manoranjan TV, Khushboo TV and now Manoranjan Music. You can add Sony PAL and Manoranjan Music by searching given below Transponder. Dillagi channel also won this 20th e-auction and now available on DD Freedish. But at this time, this TV channel showing only color bars. Only Test card available on its platform, very soon it will start broadcasting. You can add Dillagi TV by searching given below Transponder. You can check updated channel list of DD Free dish Channels / DD Direct Plus channels from Here.